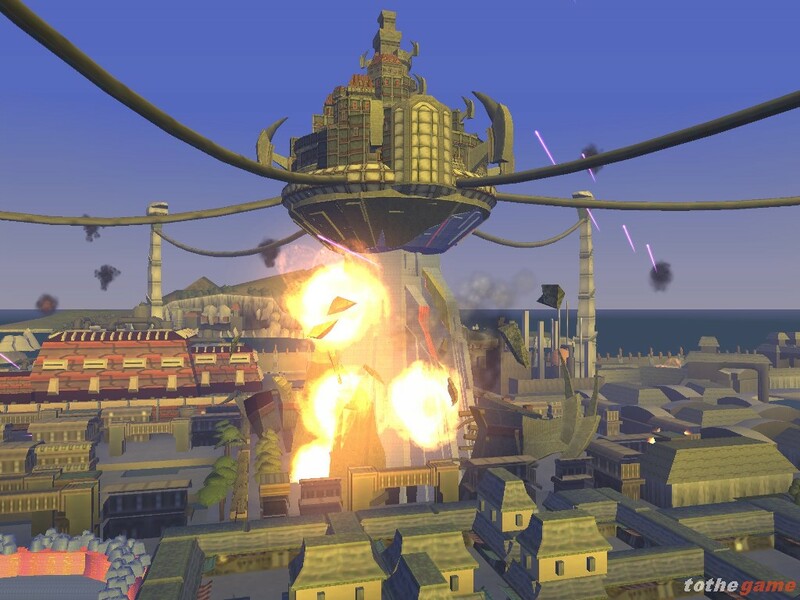 One year has passed since Jak and Daxter saved Haven City from Kor and the attacking Metal Heads, yet Haven City is still immersed in deadly chaos as three groups fight for control of the streets. 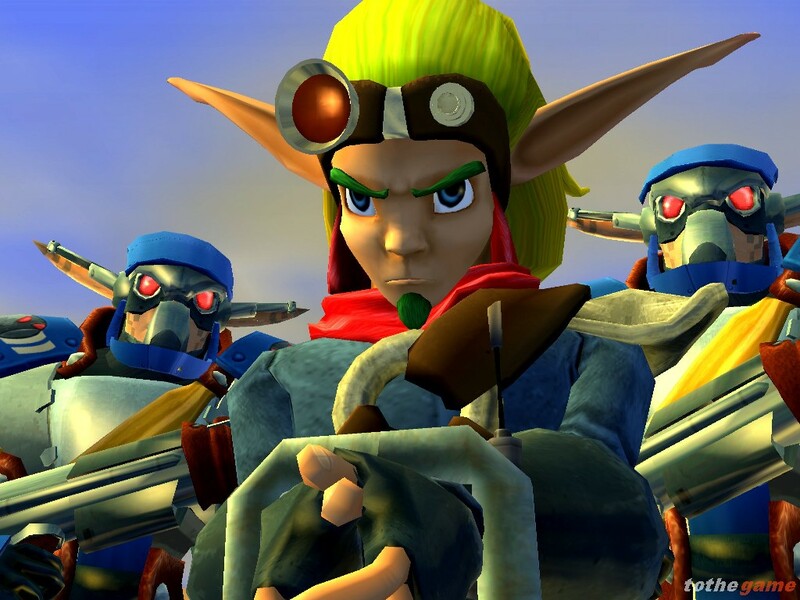 The people of Haven City have grown to distrust Jak’s dark powers, and as rumors boil of Jak’s ties with Krew and Kor, the city blames Jak for its current woeful circumstances. 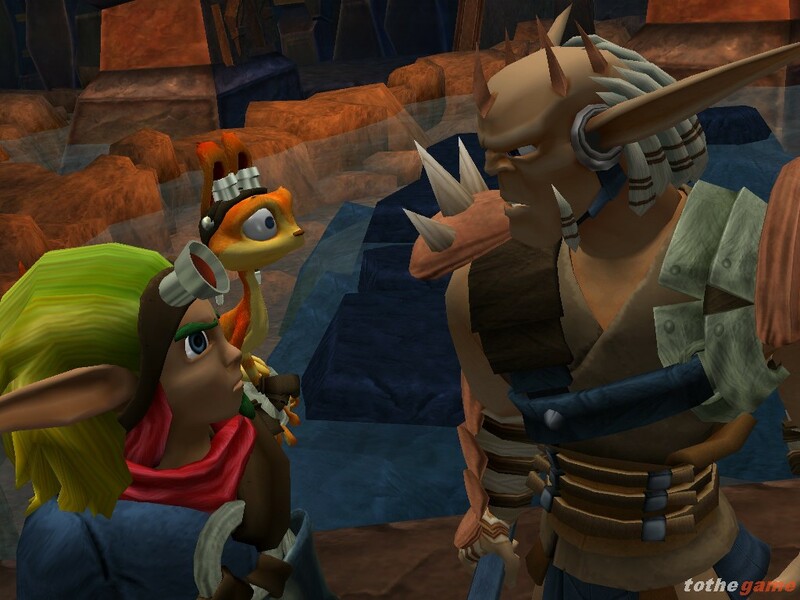 When the palace is destroyed by a surprise Metal Head attack, even Ashelin cannot protect Jak as the High Council’s power broker, Count Veger, forces Jak into banishment for life to the desolate Wasteland. 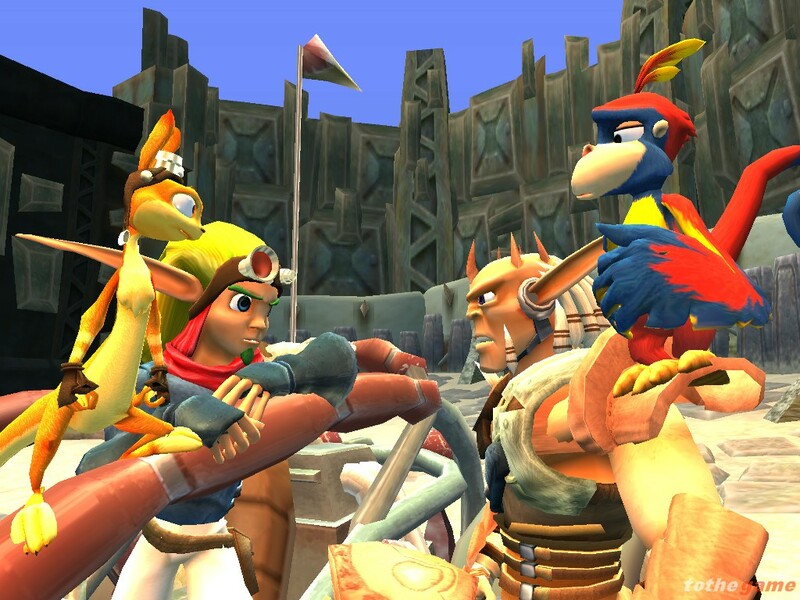 Upon Jak being flown to the harsh island and dropped off to fend for himself, he discovers that Daxter and Pecker have discreetly followed him to his proclaimed lifetime of hell. 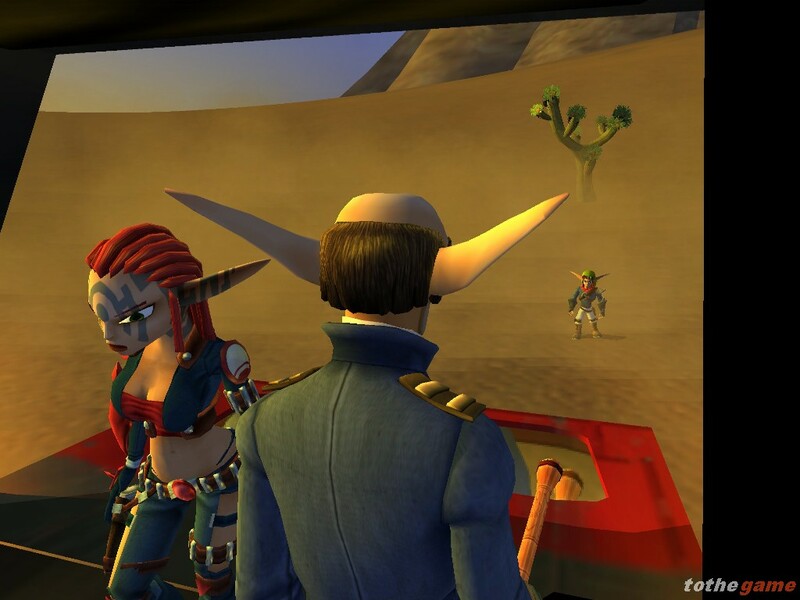 With Daxter and Pecker bravely by his side, the three begin their next adventure as they wander the Wasteland and along the way encounter perilous situations, violent battles and devastating consequences. The new Wasteland features a desert with multiple areas, including a mine, volcano and the desert city of Spargus that is home to fierce inhabitants. 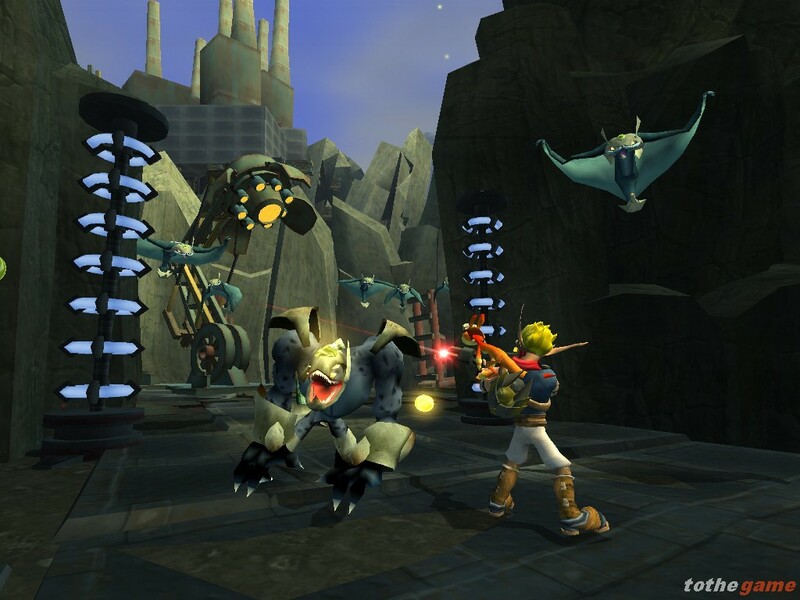 True to the Jak and Daxter franchise, players will be immediately thrown into a compelling storyline, fast-paced action and seamless adventure. 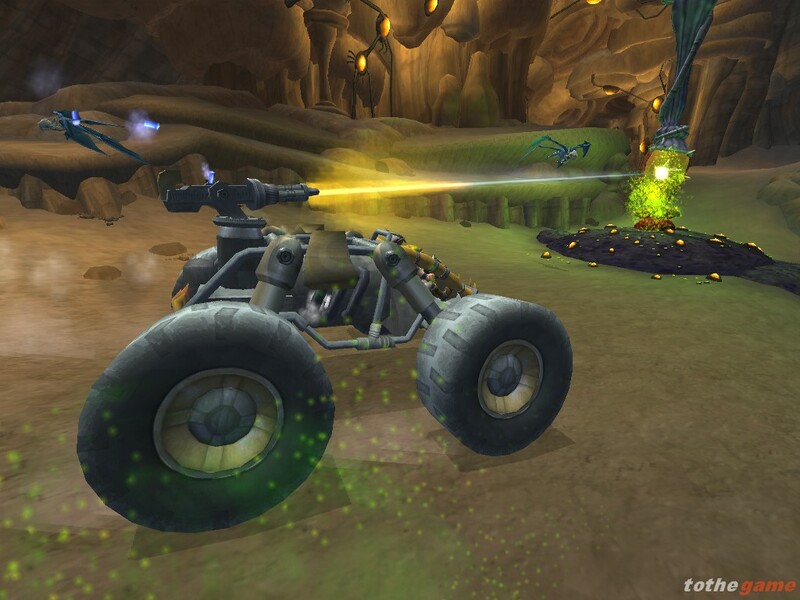 Vehicles play a large role in the game, as Jak and Daxter will unlock a variety of vehicles, including off-road transportation. All feature complex, simulated vehicle physics and come equipped with weapons. 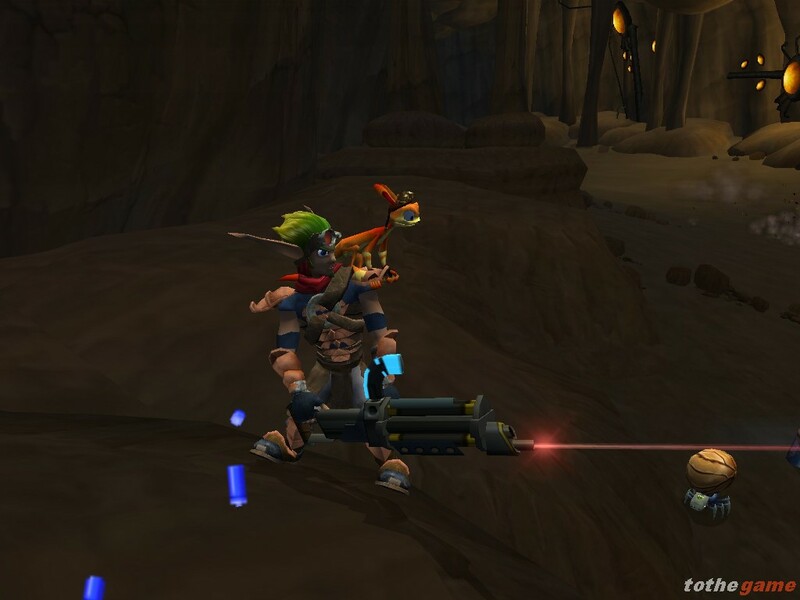 Not only will players take on the role of Jak, they can also play as Daxter, who has an extended role within the game during level-specific areas. 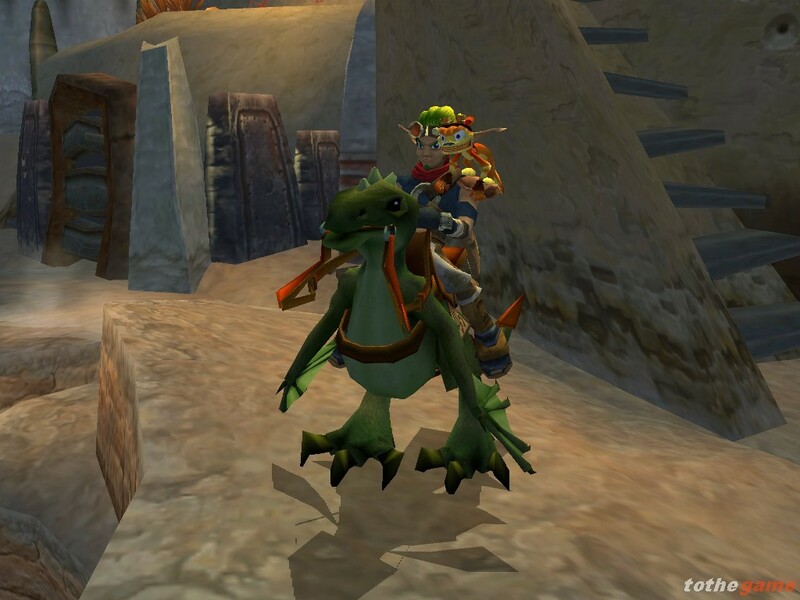 Now that Jak has been exposed to Light Eco, players can transform themselves into Light Jak, with amazing new abilities including a move that allows Jak to glide with the addition of large angelic wings. Dark Jak powers also return, as Jak must find a balance between Light Eco and Dark Eco. 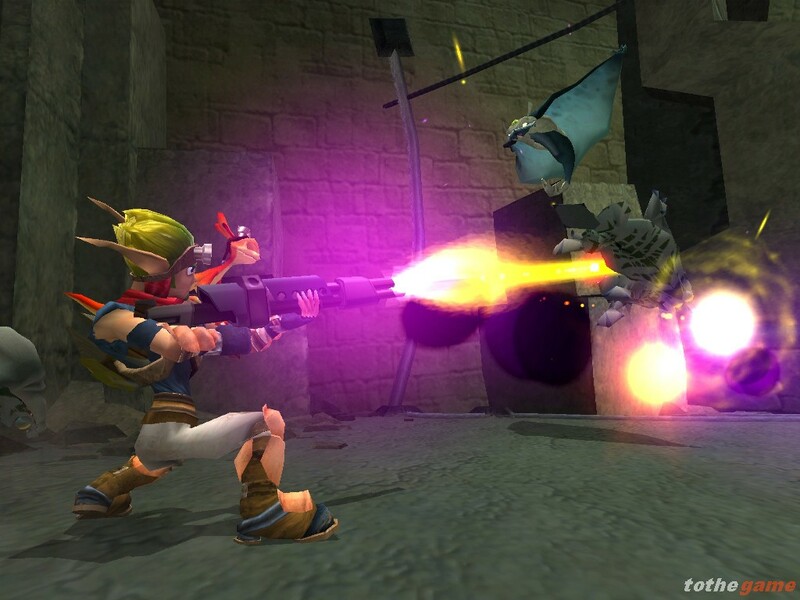 All of Jak’s weapons from Jak II return with the addition of two devastating upgrades for each gun type. Haven City has changed dramatically since players last saw it. After a Metal Head attack destroyed the palace and demolished the majority of the city, players will notice some major aesthetic differences that will alter gameplay. 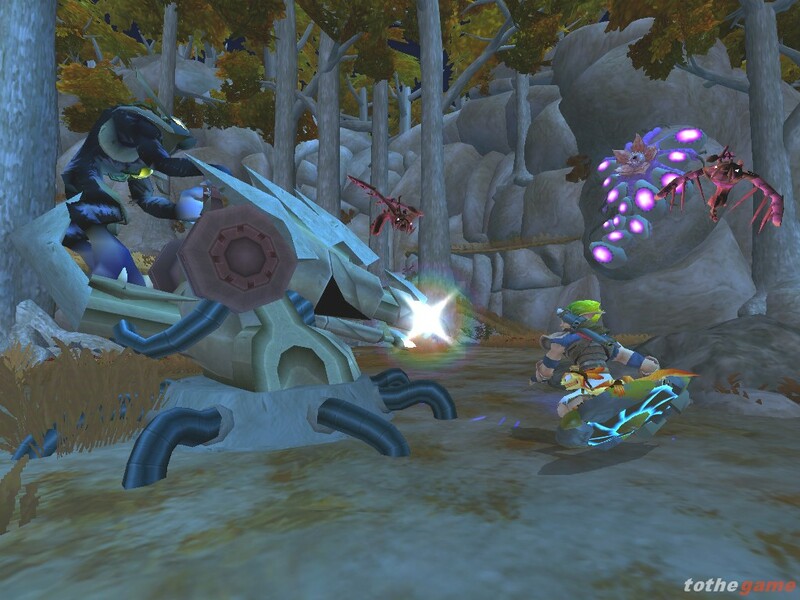 The Titan Suit and Jetboard return to provide Jak and Daxter additional ways to get around their dangerous surroundings. 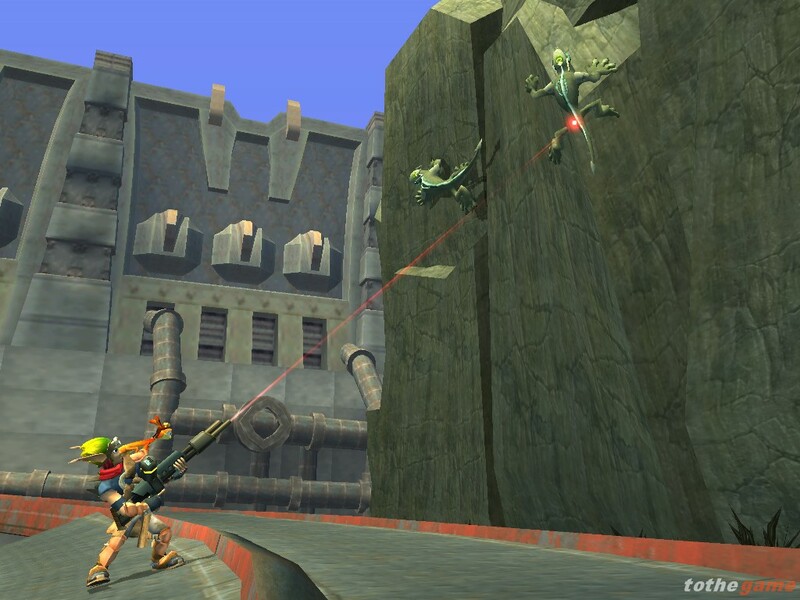 Jak 3 feature new technology including Ragdoll Physics, which will allow gamers to observe a unique death for each enemy that is killed, cloth dynamics, Wasteland terrain renderer, revamped spooling and memory management scheme, and massively overhauled rigid-body physics system. Players will enjoy more than 60 minutes of movie quality in game cinematic.